Eric Lucas, owner of Carpet One Floor & Moore in Athens, OH, supports local shopping through his work with the Athens Chamber of Commerce. By participating in a focus group centered around the importance of local shopping, Lucas has helped lead a movement in the area to support local businesses rather than large scale franchises that have no local investments in the Athens' community. Lucas also serves as the president of the Athens Building Industry Association, dedicating his time to improving local businesses. He believes shopping locally allows Athens' County businesses to pay their employees a decent wage and become more involved in community causes. At a recent Chamber Before Hours event, attendees wore shirts that read "Love Athens, Shop Local" on the front and "You can't buy happiness, but you can buy local, and that's kind of the same thing" on the back. Lucas says he is proud to sport the shirt on weekends to promote the benefits of shopping local and to better the Athens' community. 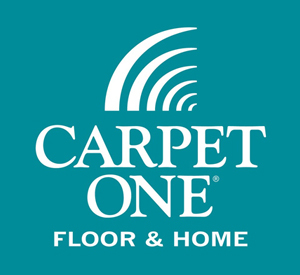 Carpet One Floor & Home stores are all independently owned and operated. With over 1,000 locations in the United States, Canada, Australia, and New Zealand, Carpet One Floor & Home is dedicated to providing local businesses with the tools they need to succeed in a highly competitive market.